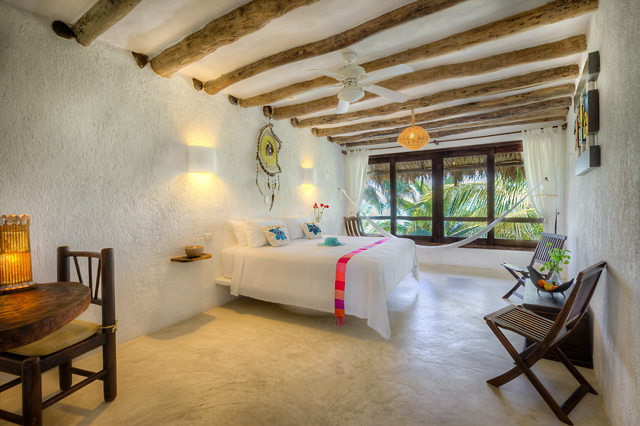 ROOM CATEGORIES La Palapa is a Romantic Hotel for Adults Only: structure and services are designed just for adults over 16 years of age. All our Rooms are Non-Smoking and we do Not allow pets. 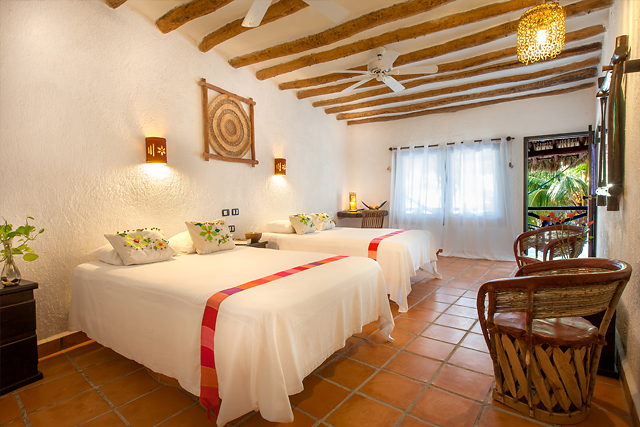 This comfortable and relaxing kind of room have no ocean view but features all necessary equipment for a good rest. 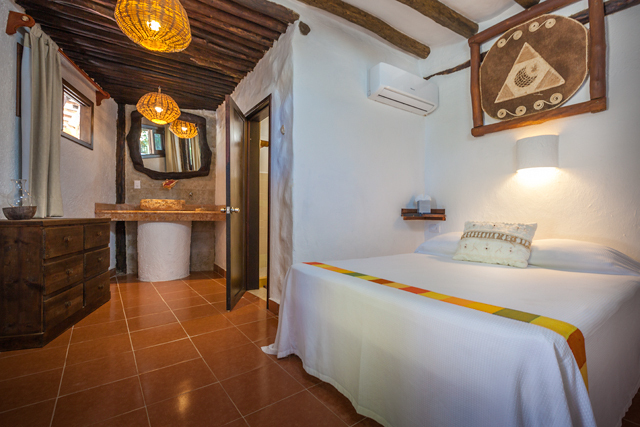 In this room there is a convenient desk and free Wi-Fi for the guests who combine work and rest so it's the ideal option for long stays. • Wi-Fi Internet Access (free of charge). Balcony Rooms (King and Queen) featuring regional furniture, refined touches and an oceanfront balcony with an exclusive sea view, feet away from the calm and pristine water of one of the best island’s spot. • Balcony King Rooms have 1 King size bed. Maximum capacity of 2 adults. • Balcony Queen Rooms have 2 Queen size beds. Maximum capacity of 4 adults. We have 4 spacious rooms at the top floor of the Hotel. 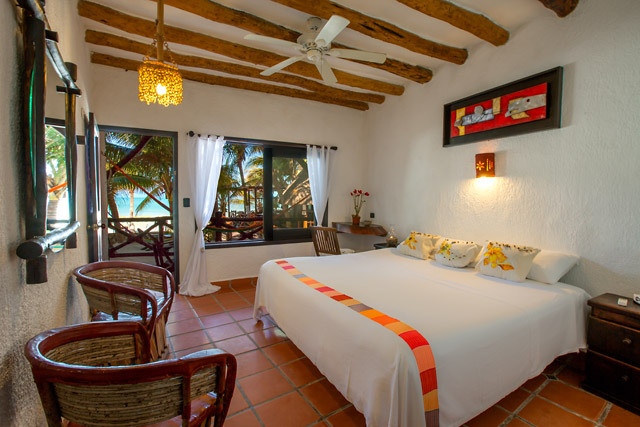 They are bigger than others and have a large Panoramic Oceanfront Window with an unbelievable seaview on the ocean that allows guests to enjoy moments of true relaxation and tranquility. 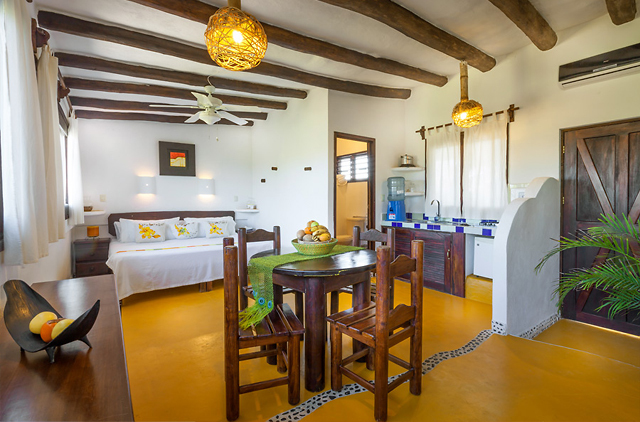 This kind of Room has no ocean view but features large windows, Kitchenette, Mini-fridge and dining space with chairs and table, allowing guests to enjoy moments of true relaxation and tranquility. Room Categories: see more photos! 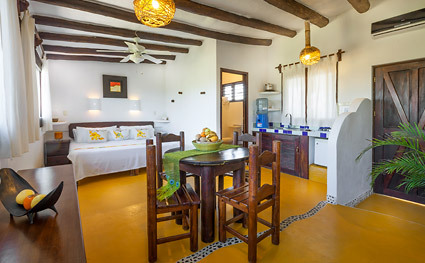 Visit our Gallery to see more photos and details of our rooms. 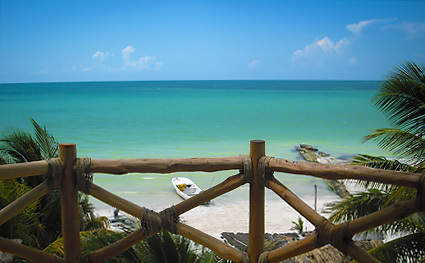 At the Beachfront Hotel La Palapa the ocean view is amazing. An incomparable setting at literally feet away from the white sandy beach and tourquoise water. One of our most popular room type is the Balcony Room. They all front the ocean, with balconies that feature a small table with two chairs to enjoy the beautiful sunsets while perhaps drinking a glass of wine. You can see more photos and details in our Gallery. 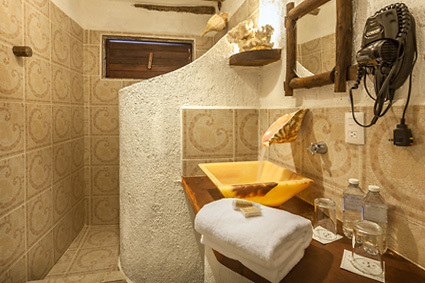 All our rooms have a private bathroom with sea shell shower heads, towels, hair dryer and a vanity unit with mirror. 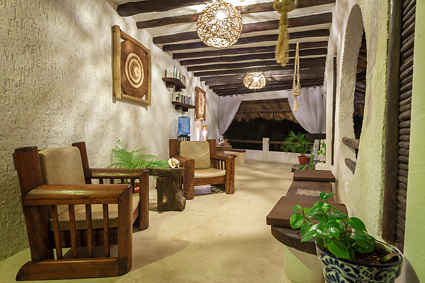 On the third floor of the Beachfront Hotel La Palapa, book lovers can sit and relax in our Reading Room that features comfortable chairs, tables, books, free wi-fi internet and a wide ocean view balcony. 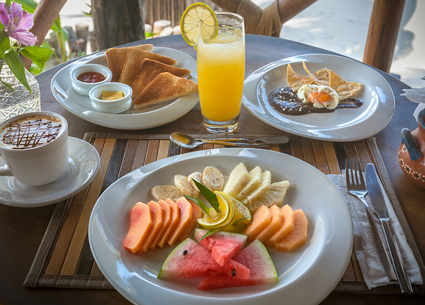 Our special "Palapa Breakfast" is	a great way to start the day. For this healthy and delicious type of breakfast we select all the components with careful consideration, such as seasonal fruits from the local area, natural juices, jams and marmalades, eggs, homemade bread, ending with a nice italian espresso coffee, capucciono or tea. 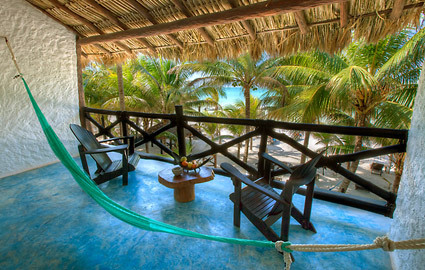 Beachfront Hotel La Palapa is the place where mind, body and soul become one. 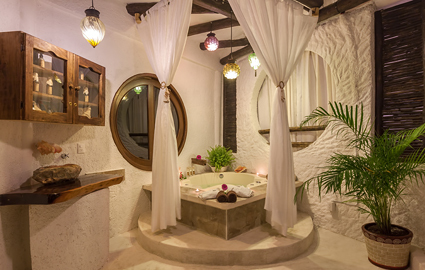 Sounds, rituals and different types of massage will make your vacation unforgettable! Click here to see all our types of massages.